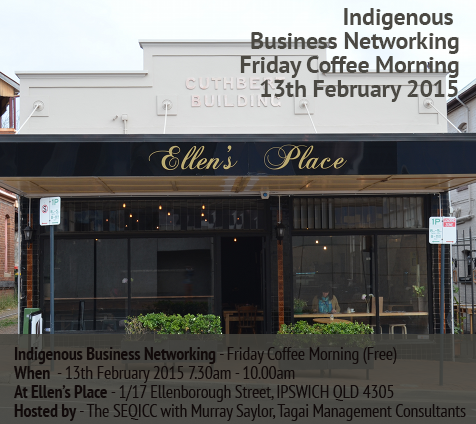 The SEQICC and co-host Murray Saylor from Tagai Management Consultants, Ellen’s Place, 1/17 Ellenborough Street, Ipswich, on the 13th of February from 7.30am – 10.00am. Check out our Indigenous Business Networking – Friday Coffee Morning Photo Album on our Facebook Page. Read more about the vision for this event.